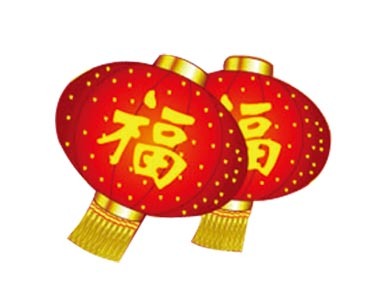 Best Wishes for the Chinese New Year of the Earth Female Pig! No matter what we have done wrong in the past. No matter how many non-virtuous deeds we have accumulated in the past. Don’t be afraid of the sufferings that they might bring upon us. Because fear will only bring us more sufferings. Only by facing reality is the way for any real solution. Let us face it naturally. Let those sufferings that they bring help to elevate the Nature of our Mind and Awareness. Transform them in positive ways. So long as we can start from today, we are determined to start afresh. Use Confessions & Repentance to completely unload our past non-virtuous deeds, their karmic retributions and influences. Use Mind-Training to correct our past wrong behavioral programming, so as to completely transform our future. This is the correct path for our Mind-Training and Dharma-Practice. To elevate the Nature of one’s Mind and Awareness. It will be extremely slow and with a very high failure rate. We will need to start from today, and make up our minds. Or in the post-meditational practice of our daily living. With the “Observance of Precepts” as a kind of protection to protect the Nature of our Mind and its Awareness of Crystal Clarity. With “Mental Concentration” as a kind of foundation to arouse the Nature of our Mind and its Awareness of Crystal Clarity. With “Wisdom” as a kind of skillful means in applying the Nature of our Mind and its Awareness of Crystal Clarity. All, in this new year, have the best start and with best results. All can believe in the Buddhist Holy Dharma, able to practice it, and to attain accomplishments in the Buddhist Holy Dharma! Best Wishes for the Chinese New Year with Good Health, Full of Love, Joy, Happiness and Auspiciousness throughout the year, together with great progress on the Bodhi Path (Road to Enlightenment)! on behalf of the Sangha members of the Dudjom Buddhist Association (International), 5th February, 2019. December of this year (2018) marks the 3rd Anniversary of Dorje Chang His Holiness Kyabje Chadral Sangye Dorje Rinpoche’s Entering into Maha-Parinirvana, and so in order to commemorate the extreme kindness and compassionate blessings of our Most Beloved Wish-Fulfilling Crowning Jewel and Lord of the Mandala Dorje Chang His Holiness Kyabje Chadral Sangye Dorje Rinpoche (1913-2015) to us all, the Dudjom Buddhist Association (International) has recently published an updated and enlarged edition on the “Liberated Life Story” (“Namthar”) of Dorje Chang His Holiness Kyabje Chadral Sangye Dorje Rinpoche in Chinese, entitled “The Contemporary Mahasiddha with Many Prophecies: Our Lord of Refuge and Protector, His Holiness Kyabje Chadral Sangye Dorje Rinpoche”. This is specially published to commemorate the extreme kindness and compassionate blessings of our Most Beloved Wish-Fulfilling Crowning Jewel and Lord of the Mandala Dorje Chang His Holiness Kyabje Chadral Sangye Dorje Rinpoche (1913-2015) to all sentient beings in this universe. 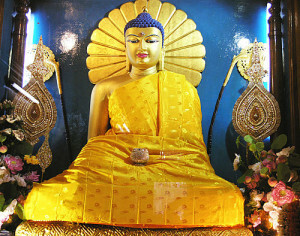 Here, we would most humbly, sincerely and earnestly pray, from the deepest of our hearts with our greatest gratitude, for His Holiness’ Continuous Bestowal of the Nectar Rain of Blessings to this universe, by upholding the Victory Banner and turning the Wheel of the Holy Dharma for the benefits of all sentient beings. We would also like to dedicate any merits so accumulated for the flourishing of the genuine Holy Dharma in this universe, so as to benefits all our motherly sentient beings, as limitless as the sky! Please click onto the following button for a free copy of this e-book. 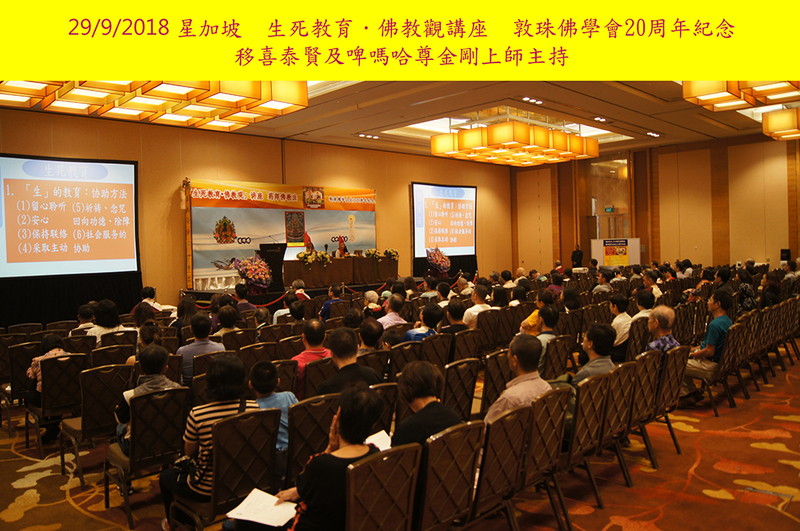 A Public Talk on “Life and Death Education – A Buddhist Perspective” – by Vajra Master Pema Lhadren (in Cantonese, with on-site Mandarin translation. Those participants who need this translation must bring along their own smart phones with earphones). 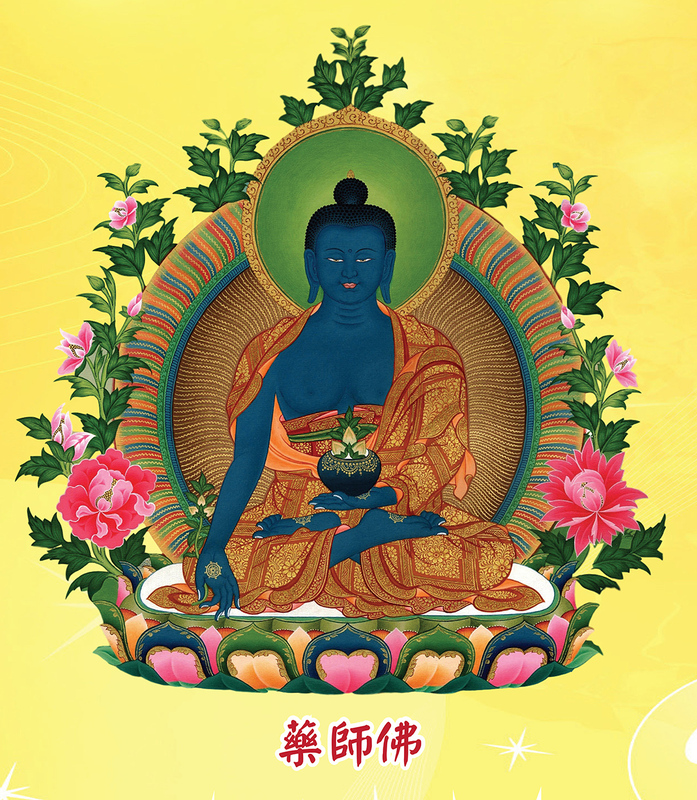 Right after the talk, a Dharma activity on the Medicine Buddha will also be transmitted by Vajra Master Yeshe Thaye (in Cantonese, with on-site Mandarin translation. Those participants who need this translation must bring along their own smart phones with earphones). 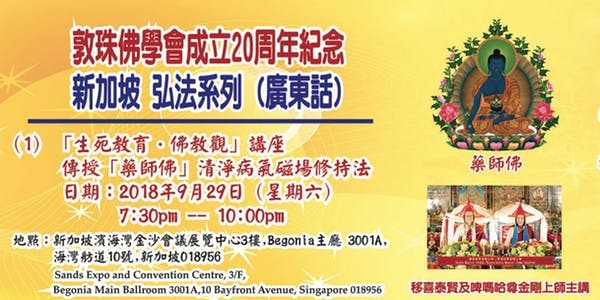 3/F, Begonia Main Ballroom 3001A, Sands Expo and Convention Centre, 10 Bayfront Avenue, Singapore 018956. Refuge-Taking Ceremony with Teachings on Dharma Practice – by both Vajra Masters Yeshe Thaye & Pema Lhadren (in Cantonese, with on-site Mandarin translation. Those participants who need this translation must bring along their own smart phones with earphones). Venue: Meeting Room [email protected], 8/F, 30 Prinsep Street, Singapore 188647. 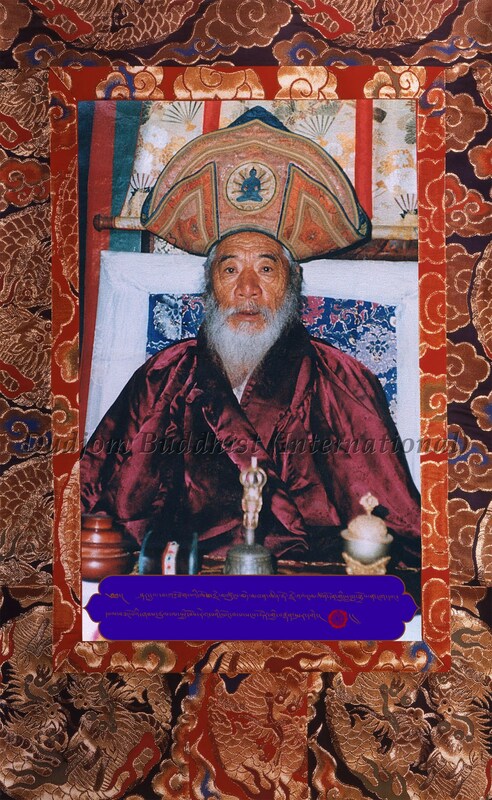 Those who would like to take Refuge from our two Vajra Masters should download the “Refuge-Taking Application Form” at https://bit.ly/2uV6xVt, and then send it back, together with supplementary information as required in the form, to our email address [email protected] at your earliest convenience, but no later than one week before the event. Refuge-taking applicants will be exempted from an oral examination of interview for this time only. Best Wishes and Warm Greetings to All Dharma Friends for the Saga Dawa Duchen on 29th May, 2018 — from the Dudjom Buddhist (International)! 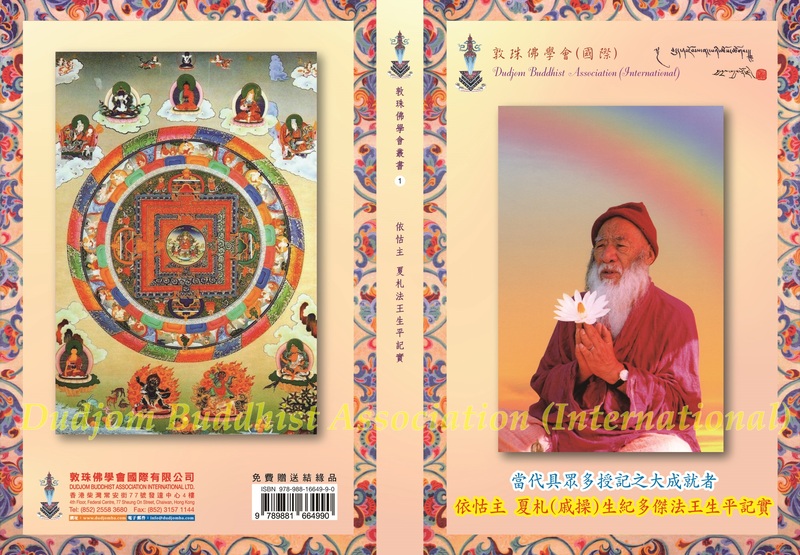 In celebrating the 20th Anniversary of the founding of the Dudjom Buddhist Association (International), a Chinese-English book entitled “Celebrating the 20th Anniversary of the Founding of the Dudjom Buddhist Association (International): A Memoir” has been published. Those who are interested can download a copy of this eBook by clicking onto this button. At the same time, a short video on a brief introduction of our Association has also been made so as to serve the purpose in denoting its vision and mission, as well as in presenting the various functions and activities it has performed for the past 19 years. Of course, this short video is specially dedicated to our Three Late Root Gurus (namely: His Holiness Kyabje Dudjom Rinpoche, His Holiness Kyabje Chadral Rinpoche, and Ven. Lama Sonam Chokyi Gyaltsen) for their tireless and devoted efforts in spreading the Holy Dharma to the whole world, and had handed down these precious Lineages and Holy Teachings to the two Vajra Masters of our Association in order to continue on with their Visions and Missions, as well as their Spiritual Legacies. We sincerely pray and hope that the Genuine Holy Dharma will continue to grow and flourish for the benefits of all our motherly sentient beings, as limitless as the sky! The Dudjom Buddhist Association (International) has launched a programme on the Global Live Video Broadcast for the monthly events on Teaching Sessions and Dharma Activities. 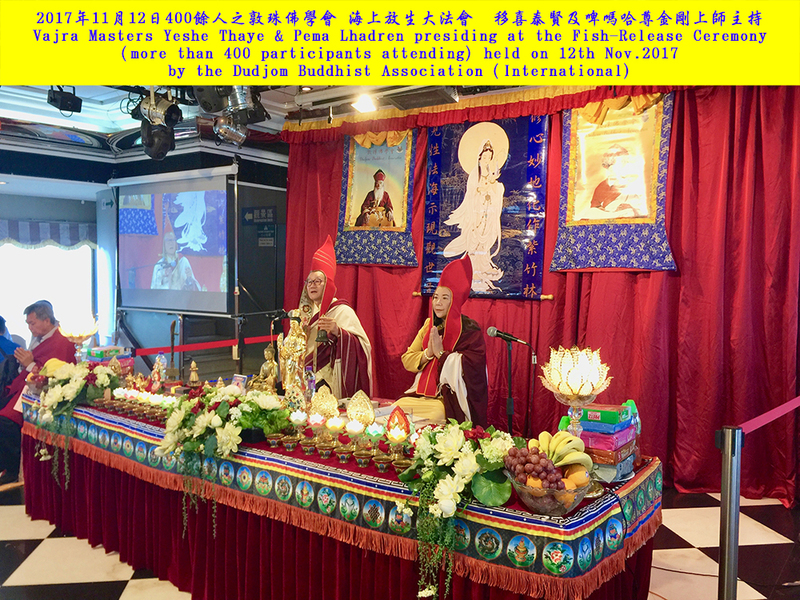 This has been done in order to benefit all Buddhist believers across the world for those who are unable to attend our regular Dharma Events in person. 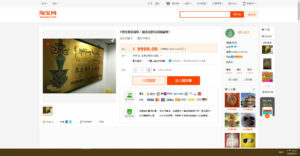 All are welcome to visit our Chinese website at http://www.dudjomba.com to register for our Global Live Video Broadcast. 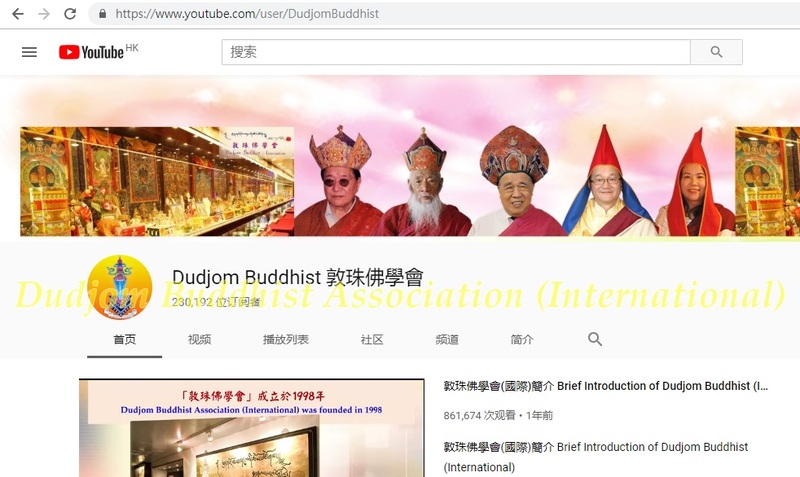 The YouTube Buddhist Channel of the Dudjom Buddhist Association (International) has the most numbers of subscribers (with more than 230,000), and over 53 million views among all Buddhist teaching channels worldwide. It is currently considered as one of the world’s most popular sites in promoting Buddhist teachings, with over hundreds of videos on Buddhist teachings being uploaded onto the YouTube Channel in languages of Mandarin, Cantonese and English. Please Support the Video Production and Translation Activities at Dudjom Buddhist Association YouTube Channel! 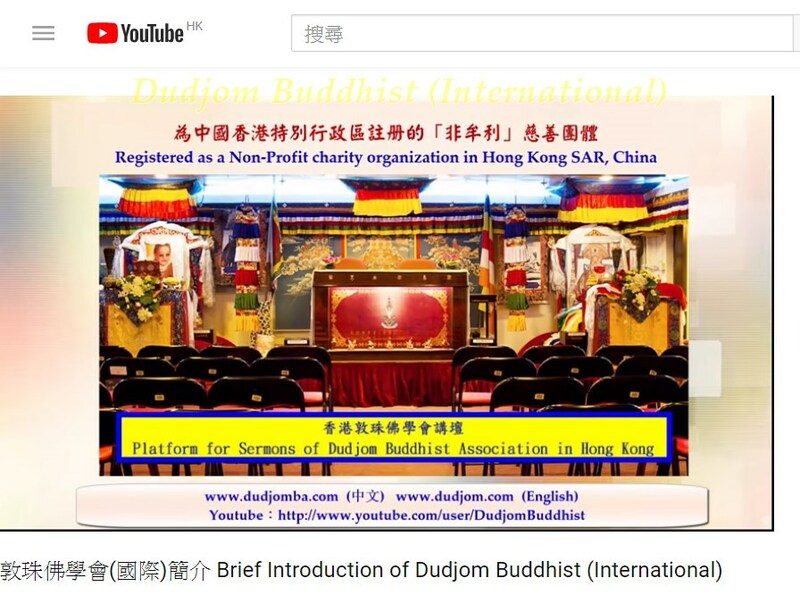 Over the years, the Dudjom Buddhist Association (International) has produced various kinds of educational series, with numerous video lectures in both Chinese and English languages, placed on our YouTube TV Channel so as to teach and explain the fundamental essence on the Buddhist Holy Dharma and on Life and Death Education, and so on. All we wish to achieve is to help Buddhist believers to better understand the genuine Buddhist Dharma, the Meaning of Life, and how they could deal with those major issues and choices in life, such as Life and Death, etc. As our productions are getting more and more in recent years, we would sincerely like to invite you all to support our Dharma activities by donating generously for the video productions and related translation works on the Buddhist Dharma in order to benefit even more sentient beings, such that they can come to learn and realize the true and genuine Holy Dharma. Indeed, if you can lend your gracious and generous supports to all of our Dharma activities, this will generate and accumulate countless merits, which will be dedicated to all our motherly sentient beings, as limitless as the sky! Best Wishes for the Chinese New Year of the Rooster! How Should One Face “Happiness and Sufferings”! The Chinese New Year of the Rooster is just around the corner. Some people say that the past year went by very quickly, while some others say that it was full of hardships. As a Dharma practitioner, one should only ask how is the progress of one’s own Dharma practice? Whether it has been done well or not, fast or slow? While most ordinary people would feel and reflect upon their own past on a scale of happiness and pain, as Dharma practitioners, especially for those who have already reached a certain level of spiritual realization, we should focus our minds to review on our own Dharma practices. When Dharma practitioners experience happiness, they would feel joyful. Yet, this kind of feeling should be used to further enhance one’s own practice, and should not be for one’s own indulgence. Furthermore, they should dedicate this feeling of happiness to all our motherly sentient beings. They should also be most grateful for the blessings of the Gurus, the Buddhas, Bodhisattvas and Dharma protectors. It is only by so doing will one’s “mind-training” practice be making real progress, and then one will be spiritually uplifted and to become even more happy. When Dharma practitioners experience sufferings, they would feel the pain. Yet, this kind of feeling should also be used to advance one’s own practice, and should not be the reason for one to wallow in self-degradation. Neither should this be the reason for one to sink into self-pitying, nor to curse those whom one think might be against oneself, all of which might only lead to having one’s spiritual downfall. Furthermore, they should not be doubtful as to whether they were blessed by the Gurus, the Buddhas, Bodhisattvas and Dharma protectors or not. More important is that Dharma practitioners should not become superstitious, due to this feeling, in seeking for the advice of Feng Shui, and so on. Instead, they should avoid to be led by the nose due to superstitions. As Dharma practitioners, it is very clear that if one cannot transform sufferings into positive energy, then all of one’s actions will only add in more negative karmas to oneself. As a result, one will only continue to move downwards spiritually in one’s future lifetimes, and this is the “cause and effect”. Understanding the origins of the “causes and conditions” will lead one to make wiser life choices, which will in turn help one to reap good “fruitions”. In this way, in knowing how to face “Happiness and Sufferings” is also part of one’s own Dharma practice. For this coming new year, we sincerely wish that all of you will be so full of wisdom of improving oneself in becoming a very progressive Dharma practitioner. Good health, full of love and joy, and with great progress on the Bodhi Path (Road to Enlightenment)! on behalf of the Sangha members of the Dudjom Buddhist Association (International), 27th February, 2017. In its more than 2500 years of history in its propagation, “Buddhism” has long been associated with folklores and local spirits while being spread through various local communities and cultures, which has thus secularized and distorted the real nature and authenticity of “Buddhism”, making it rather confusing in different contexts, and thus have been misunderstood by many people across the world. In this regard, what had gone wrong, and what can we do to rectify this situation? One of the aims of “Buddhism” is to be in real contacts with local populations, in helping the poor and the sick, in giving them spiritual comfort, and in guiding them to do good deeds with kind-heartedness to all others. As far as the “breadth” of the Buddhist propagation is concerned, it is indeed quite a success, which is well-pleased and accepted by many, and thus deserves our great respect and praise with rejoice. Yet, in terms of the “depth” of the Buddhist propagation, we think that the wider Buddhist community across the world should still need to work hard and contribute more on Buddhist education, on such topics as: “how to train the ‘mental strength’ of Buddhist believers for them to cope with the ‘transitional period’ after death”, “how to propagate Buddhism in revealing its true nature and authenticity so as to clarify its true aims and objectives as taught by the Lord Buddha”, “how to put the Buddhist teachings into real practices, so as to be in line with the true nature and authenticity of what Buddhism has to offer to this modern world”, “how can the Buddhist practical training be conducted ‘right-to-the-point’”, and so on. 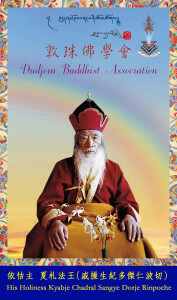 Ever since it was founded in 1998, the Dudjom Buddhist Association (International) has been trying its very best, in using the correct methods, for both the “breadth” and the “depth” on the propagation of the Buddhist teachings, via its various educational programmes, for the benefits of all our motherly sentient beings, which are, indeed, its major aims. In fact, the Dudjom Buddhist Association (International) was founded using the special name of “Dudjom” so as to commemorate, honor and repay the extreme kindness, compassion and wisdom of His Holiness Kyabje Dudjom Jigdral Yeshe Dorje Rinpoche to the Chinese people all over the world. While Ven. 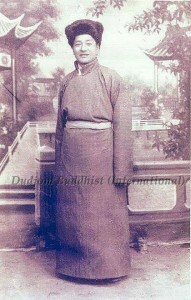 Lama Sonam Chokyi Gyaltsen (alias Ven. Guru Lau Yui-Che) went to Kalimpong, India in 1958-59 to meet with His Holiness, due to auspicious circumstances in His Holiness’ observations and visions, His Holiness Kyabje Dudjom Rinpoche had recognized that they were connected in their previous lives in the same mandala, and had thus met again as destined by the fulfillment of their past prayers. In this regard, His Holiness Kyabje Dudjom Rinpoche saw to it that Ven. Guru Lau would become one of His chief disciples. In this regard, His Holiness also saw to it that it would be most beneficial to both the Dharma and to all sentient beings by conferring upon Ven. Guru Lau the most rare and precious “Zhitro Narak Dong Truk” transmission [including all the four empowerments (wang), oral transmissions (lung), personal guidance and oral pith-instructions (tri)] of the Kama, Terma and Dag-nang Lineages. 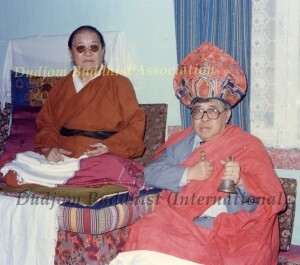 Furthermore, His Holiness Kyabje Dudjom Rinpoche had held Ven. Guru Lau as the one carrying His own line of teachings (that is, the Lineage Holder of His Holiness Kyabje Dudjom Rinpoche), and that Ven. 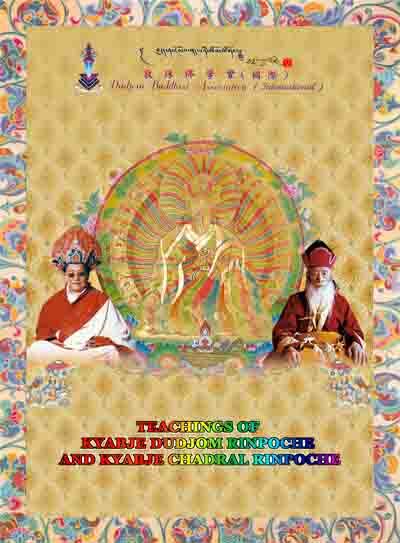 Guru Lau was also empowered by the blessings of the Lama, Yidam and Khandro to transmit these important and precious teachings and lineages to all suitable vessels. In this way, His Holiness authorized Ven. Guru Lau to teach all Vajrayana teachings to all people, especially to all Chinese people. 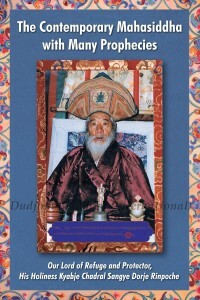 His Holiness Kyabje Dudjom Rinpoche thus specially appointed Ven. 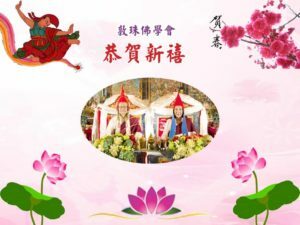 Guru Lau to be His Holiness’ Chinese Spiritual Representative in the Far East, as well as the “Chinese Master of Vajrayana Buddhism in the Chinese soil”. ( 「漢地演密教者」). This was a very special Title that has been personally bestowed by His Holiness Kyabje Dudjom Rinpoche to Ven. Guru Lau, in order to denote the very fact that Ven. Guru Lau was the first and only Chinese Master, over the last five hundred years, who had transmitted the most important teachings of Anuttara-yoga Tantra of Vajrayana Buddhism in the Chinese soil. It was, indeed, a very rare case in point that Ven. Guru Lau was the only Chinese Master who had received such a high acclaim, with such great esteem and high honor, from His Holiness Kyabje Dudjom Rinpoche ever since. 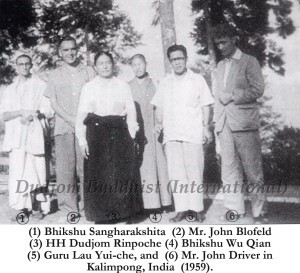 This has, indeed, shown that it was His Holiness Kyabje Dudjom Rinpoche’s deliberate, yet secret, intention to have His own important and precious teachings and Lineages to be upheld, preserved and transmitted by a selfless Chinese Master, at those times of difficulties, in order that these most rare and precious teachings, traditions and lineages will be able to continue on in the Chinese soil. Ever since, His Holiness Kyabje Dudjom Rinpoche had persistently, unyieldingly and continually gave His greatest encouragements, as well as in lending His greatest supports, to all of the Dharma activities of Ven. Guru Lau in the Chinese context. Before his departure from Kalimpong of India, Ven. 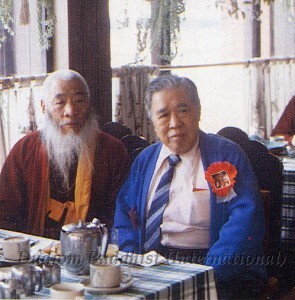 Guru Lau had vowed in front of His Holiness Kyabje Dudjom Rinpoche to do his very best in spreading those most rare and precious teachings, traditions and lineages to the Chinese people, in order to repay the extreme kindness of His Holiness Kyabje Dudjom Rinpoche, as well as to fulfill the name of “Chokyi Gyaltsen” given to him by His Holiness Dudjom Rinpoche, that is, to uphold the Victory Banner in all directions across the world, and turn the Wheel of the Holy Dharma, for the benefits of all our motherly sentient beings! This was the solemn vow, as well as clean and pure samayas, that Ven. Guru Lau had kept and maintained throughout his life with His Holiness Kyabje Dudjom Rinpoche ever since. After his return to Hong Kong, Ven. Lama Sonam Chokyi Gyaltsen had established Dharma centers in both Hong Kong and Macau, as well as four other Dharma centers and a monastery in Taiwan, so as to spread the teachings of Guru Rinpoche and of His Holiness Dudjom Rinpoche to the Chinese people in Greater China. In Upholding His Lineages and Traditions in the Chinese Soil, Ven. Guru Lau Had Held Us Accountable for the Continuation of Our Clean and Pure Samayas with Our Root Gurus! It was in 1986, and again in 1996 (one year before Ven. Guru Lau passed away), that Ven. 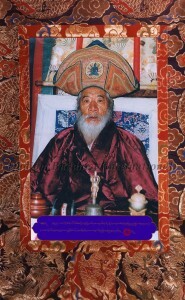 Guru Lau had twice asked Vajra Master Yeshe Thaye to continue in upholding his lineages and traditions of both the “Narak Dong Truk” and the “Dudjom Tersar” Lineages in the Chinese soil, so as to continue on in keeping the clean and pure samayas with His Holiness Kyabje Dudjom Rinpoche, and in repaying the extreme kindness of His Holiness Kyabje Dudjom Rinpoche to the Chinese people in the Chinese soil. In this regard, after Ven. 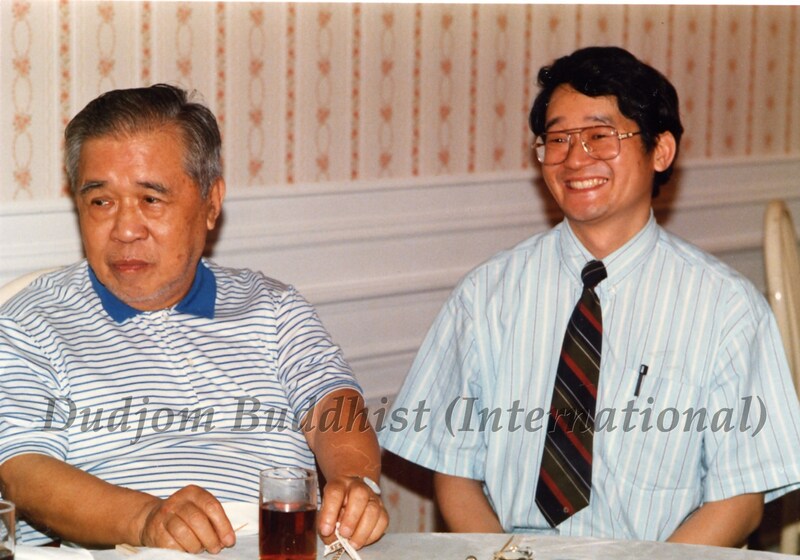 Guru Lau had passed away in May of 1997, both Vajra Masters Yeshe Thaye and Pema Lhadren had established the Dudjom Buddhist Association (International) in 1998, in using the name of “Dudjom”, with the pure intention to continue on with Ven. Guru Lau’s sincere last wish in repaying the extreme kindness of His Holiness Kyabje Dudjom Rinpoche to the Chinese people in the Chinese soil, as well as to continue on in keeping and maintaining the clean and pure samayas with both Ven Guru Lau and with His Holiness Kyabje Dudjom Rinpoche. Furthermore, we are, indeed, most fortunate that our present Most Beloved Crowning Jewel (Root Guru) and Wish-Fulling Gem His Holiness Kyabje Chadral Sangye Dorje Rinpoche has also persistently, unyieldingly and continually given His greatest encouragements, as well as in lending His greatest supports, to all of the Dharma activities of both Vajra Masters Yeshe Thaye and Pema Lhadren ever since the establishment of the Dudjom Buddhist Association (International) in 1998. To this very end, both Vajra Masters Yeshe Thaye and Pema Lhadren have been working very hard all along to continue on in keeping and maintaining their clean and pure samayas with their three Root Gurus, namely: His Holiness Kyabje Dudjom Rinpoche, Ven. 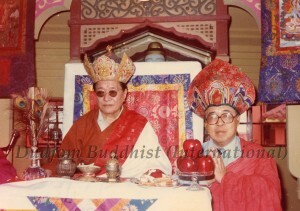 Lama Sonam Chokyi Gyaltsen, and His Holiness Kyabje Chadral Sangye Dorje Rinpoche, as well as to keep their vows and promises in the spreading of the Holy Dharma to all suitable vessels across the whole world, in order to be able to repay the extreme kindness of His Holiness Kyabje Dudjom Rinpoche to the Chinese people in the Chinese soil! We humbly pray, from the deepest of our hearts, that all of our sincere wishes and aspirations will be fulfilled and materialized, with the blessings of the Lama, Yidam, Khandro and Sungma, for the benefits of all our motherly sentient beings, as limitless as the sky! The “Dudjom Buddhist Association (International)” in Hong Kong has recently discovered that: there are some greedy and crooked persons, who act in the name of the Holy Dharma and only know how to use drums and bells for the “empowerment” ceremonies in pretending to spread the Buddhist Holy Dharma, but do not know how to explain the genuine Buddhist Holy Dharma in great depths. Out of their great jealousy in trying to prevent the “Dudjom Buddhist Association (International)” in Hong Kong to disseminate the genuine Buddhist Holy Dharma, they have thus misappropriated the name of the “Dudjom Buddhist Association (International)” in Hong Kong by using the photo of our name plaque to put on their online store at the Taobao website in order to promote their own businesses at extremely unreasonable prices, and thus intend to defame us and to undermine the good reputation of the “Dudjom Buddhist Association (International)” in Hong Kong. Please refer to the photo enclosed here. 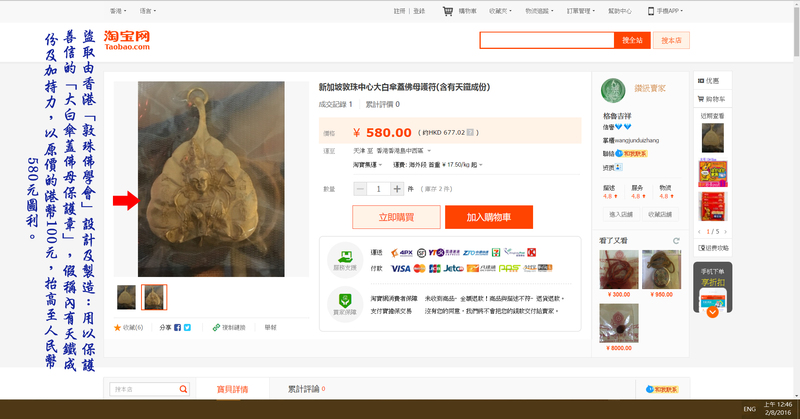 Furthermore, these despicable crooked persons have further misappropriated both the design and the products of a Buddhist pendant (“a protection emblem of the Goddess Sitatapatra” made by our Association to help protect the Buddhist believers by wearing it) of the “Dudjom Buddhist Association (International)” in Hong Kong, and has falsely claimed that it contains the ingredient of “Sky Iron” (meteoric iron, Tib. 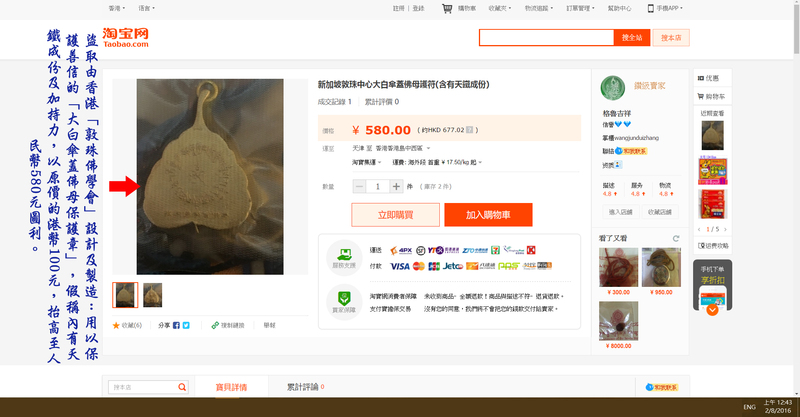 Thokcha, or in Wylie: gnam lcags) with the power of blessing, such that they could greatly mark up the price of this pendant from the original cost of only Hk$100 to Rmb$580 in order to earn a great profit. On top of that, they have again misappropriated and tampered with the contents of the journal “Light of Lotus”, published by the “Dudjom Buddhist Association (International)” in Hong Kong, in becoming their promotional description in order to make profits. Please refer to the two photos enclosed here. 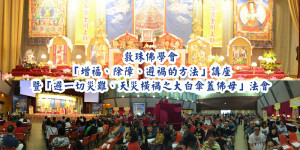 The negative nature of these hellish greedy crooked persons not only want to earn money, but they would seriously want to defame and destroy the good reputation of the “Dudjom Buddhist Association (International)” in Hong Kong in order to prevent our Association from forcefully and directly lash out their indiscriminate acts in holding “empowerment” ceremonies so as to make profits and to cheat on the Buddhist believers. Under the disguise in benefiting and blessing others, in the name of the Buddhist Holy Dharma, these greedy crooked persons have continually hurt the Buddhist believers by poisoning their minds in becoming more and more superstitious and greedy. 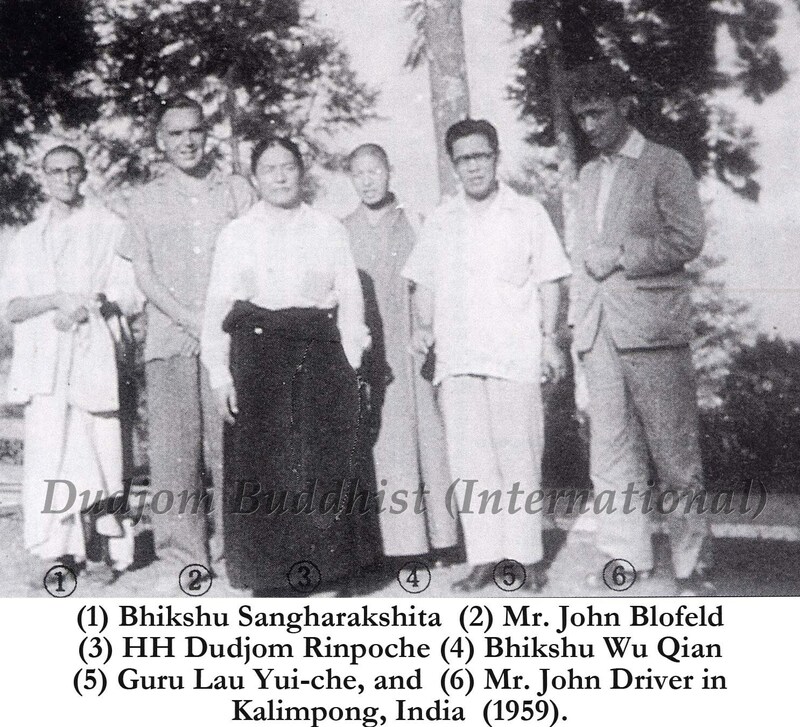 And by making connections with these crooked persons, many Buddhist believers have unknowingly fallen prey to their vicious and negative magnetic fields. More importantly, by participating in these indiscriminate “empowerment” ceremonies, many Buddhist believers will most unfortunately and eventually be dragged down to be reborn into the three lower realms. 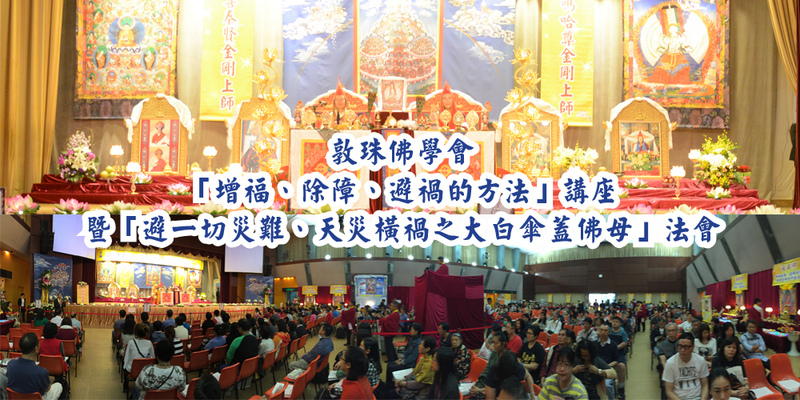 In order to prevent these greedy crooked persons from continually and massively held indiscriminate “empowerment” ceremonies to cheat on the Buddhist believers, the “Dudjom Buddhist Association (International)” in Hong Kong want to heartily advise all Buddhist believers not to fall into the traps of these fraudsters. 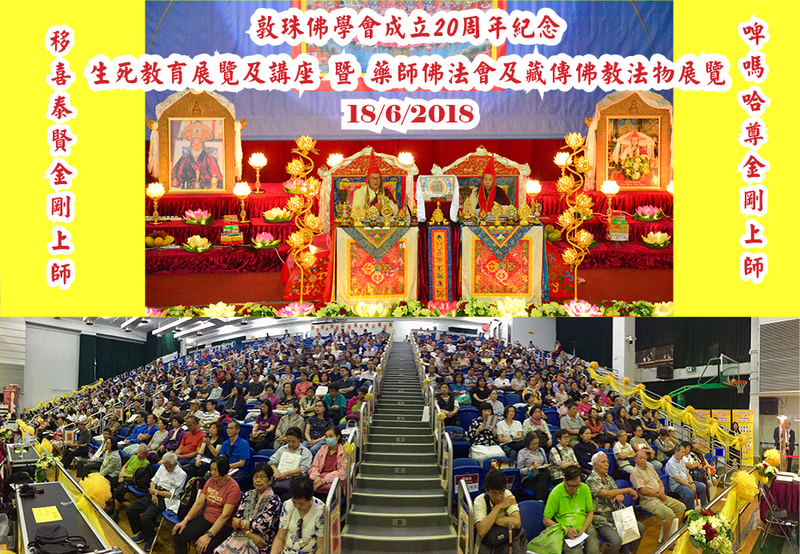 In order to further pursue on the liabilities caused by these greedy crooked persons for this recent event, the “Dudjom Buddhist Association (International)” in Hong Kong will take legal actions as necessary. Thank you very much for your kind and serious attention!